A coalition of experts and politicians in the United Kingdom are warning that the meat industry will gain the murderous reputation of the tobacco industry if it doesn’t stop adding cancer-causing nitrites to meats like bacon and ham. According to food scientist Professor Chris Elliott, and cardiologist Dr. Aseem Malhotra, the coalition has reached a “consensus of scientific opinion” that nitrites, used to cure meat, produce carcinogens called nitrosamines when ingested. Nitrites are the chemicals that give processed meats their pink color. The coalition further claims that nitrites in meat cause 6,600 cases of bowel cancer in the UK each year – 4 times the number of deaths caused by vehicle accidents, They are campaigning for the government to give the chemicals the same health priority as sugar. 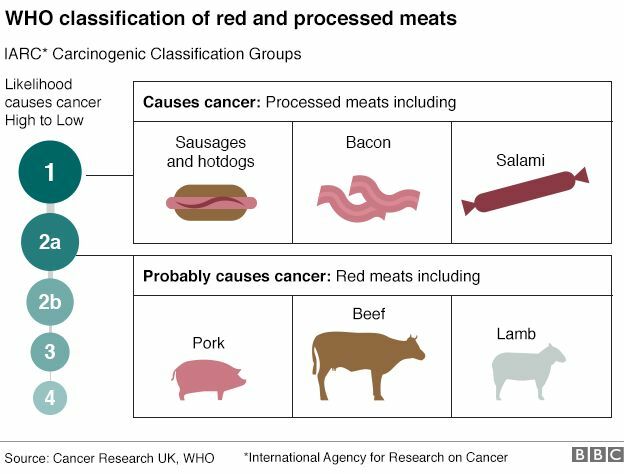 In 2015, the International Agency for Research on Cancer (IARC) classified processed meat as “probably carcinogenic,” linking the foods to colorectal, esophageal, lung, and pancreatic cancer. The agency, part of the World Health Organization (WHO), placed the blame on nitrites and nitrosamines. In October 2018, processed meat was linked to breast cancer when a Harvard analysis of more than 1.5 million women showed that regularly consuming processed meat increased the risk of the disease by 9%. The meat industry argues that nitrites are essential for fighting botulism and infection, but Malhotra pointed out that Parma ham (Italian dried ham) hasn’t contained nitrites in 25 years. In fact, many meat producers have stopped using nitrites in their products, which proves that the chemicals are indeed unnecessary.